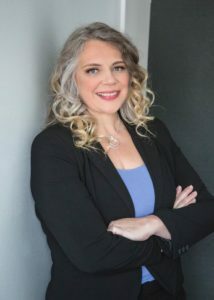 Valerie Christensen serves as the Chief Marketing Advisor for Specialized and brings over 20 years of experience developing world-class marketing and PR strategies for global and national brands, regional enterprises and start-up ventures as the CEO of RISE Strategic Marketing. Ms. Christensen has held major marketing roles for a number of national brands, including Sprint, where she served on the senior leadership team for the sales and marketing launch of the wireless division as the market’s B2B marketing operations manager. She then led the marketing launch of two national maternity service brands and founded a company that operated four major-market franchises under these brands in Southern California. She headed the Business Marketing and Public Relations Division for the loyalty marketing firm Access Development before entering the property management industry in 2011 as the Vice President of Sales and Marketing under Chuck Thompson, where she was instrumental in building out a national marketing operations platform, an extensive library of print and multimedia sales and marketing assets, and established a sales system to grow and launch over 170 PM offices across the country. Valerie determines the strategic vision and marketing plans for the Specialized locations and manages the execution of marketing operations and campaigns through her staff of fifteen.